Derby's waste - a rubbish blog ! : The Tannery site gutted for development. The Tannery site gutted for development. 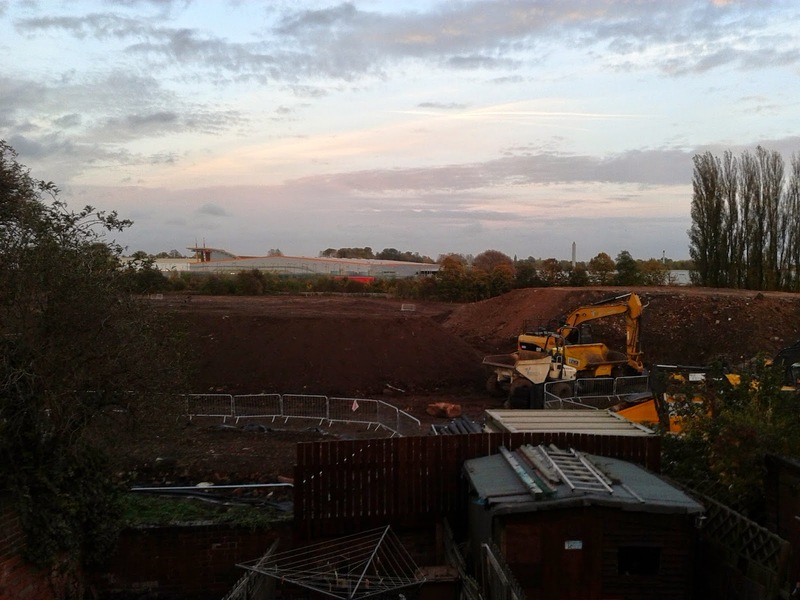 The destruction of the Sinfin Tannery site on Sinfin Lane Derby continues at pace. While the developer, Resource Recovery Solutions - a SHANKS waste company in association with Interserve through planning and the public inquiries painted the site as being a brownfield site the reality was somewhat different! While it was correct to suggest the site had housed industry previously - in this case a brick works and later an animal skin tannery all of which was demolished to suggest the site was brownfield would be to imply the site was an industrial wasteland. 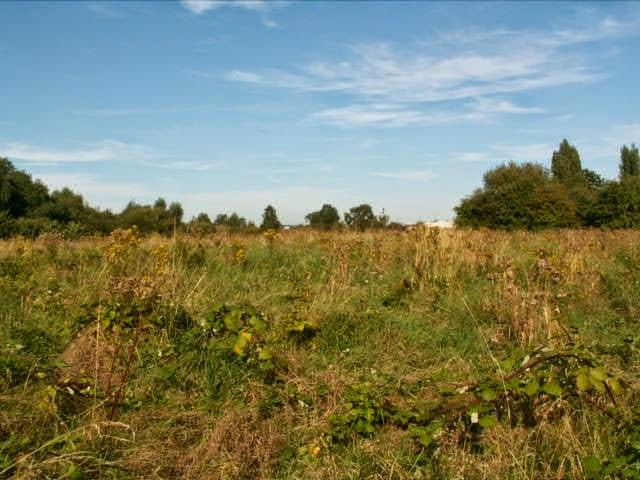 Those of us able to visit the site before the council removed that ability know very much that the site was actually a hub for wildlife next to an area of heavy industry - it was an oasis of grass, flowers, shrubs and trees and housed Derby's only population of Common Lizards - a BAP priority species. The image below shows what the site previously looked like. 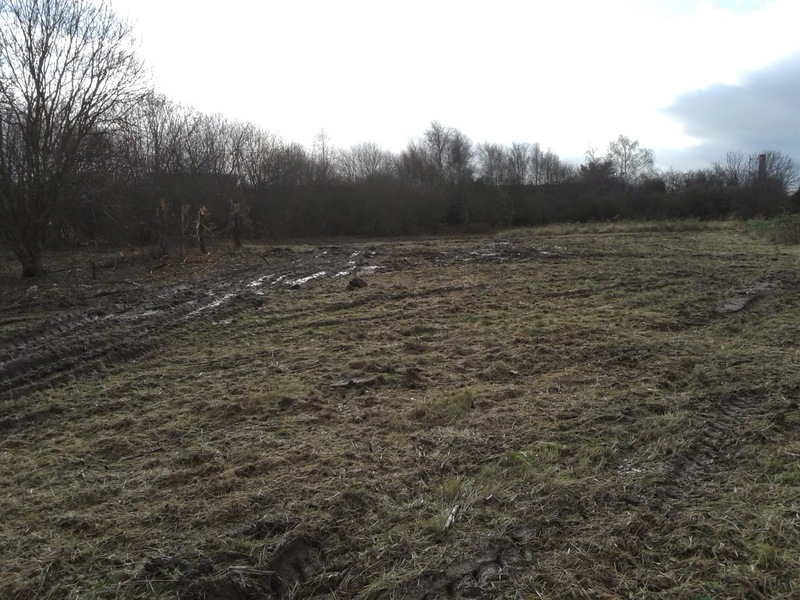 Once the developer secured the go ahead for construction the site and its grassland was razed to the ground in late winter - a time when the Common Lizards would be hibernating but contractors carried out the work after a spell of poor weather turning the site into a mud bath. The developer was reported to Derbyshire police but the police took no action. So what is the current status of the site ? Well construction of the access has started and the site has been basically gutted as shown in the final image - the only untouched areas being the Common Lizard holding area.